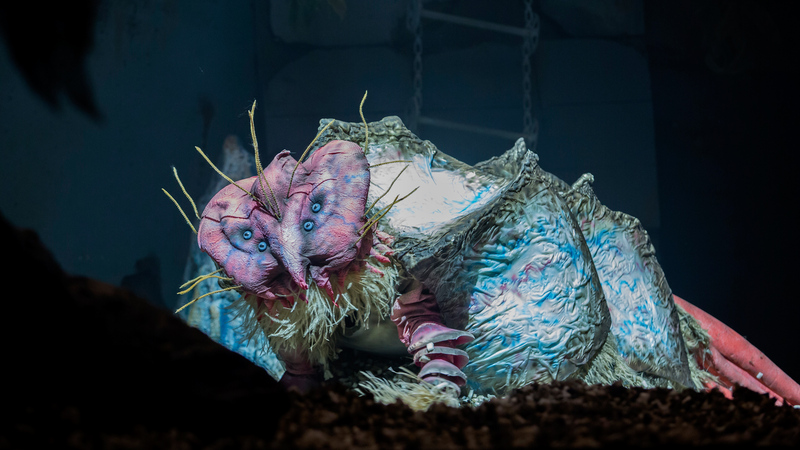 Today we’re thrilled to welcome one of the final three competitors on the first season of Jim Henson’s Creature Shop Challenge, the hit SyFy reality show. Melissa Doss is a fan favorite competitor and one of the most talented individuals I’ve ever seen on TV. Melissa’s ability to construct incredible creatures in just a few days time blows me away every week. I was so excited to get the chance to talk to Melissa about her work on the show ahead of the big series finale tomorrow night. 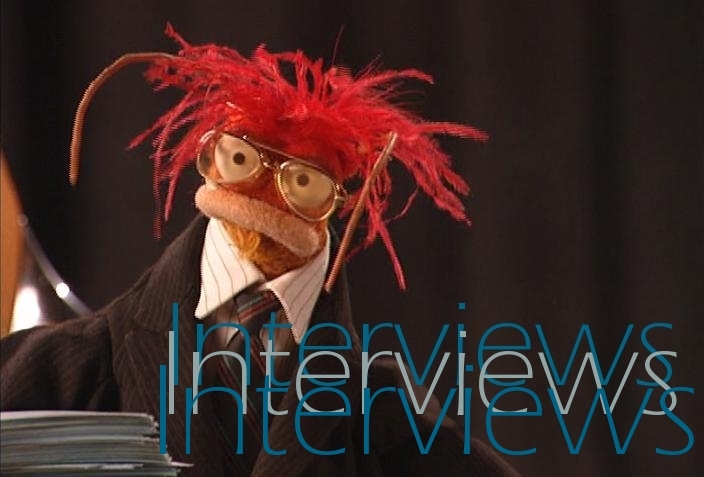 RYAN DOSIER: Welcome to The Muppet Mindset, Melissa! Please, make yourself at home. We don’t have any cool creatures to show off, but my cat is pretty interesting. MELISSA DOSS: Well thank you so much! I’m really happy to be here, let me just settle in… move the cat… ahhh… alright let’s do this! 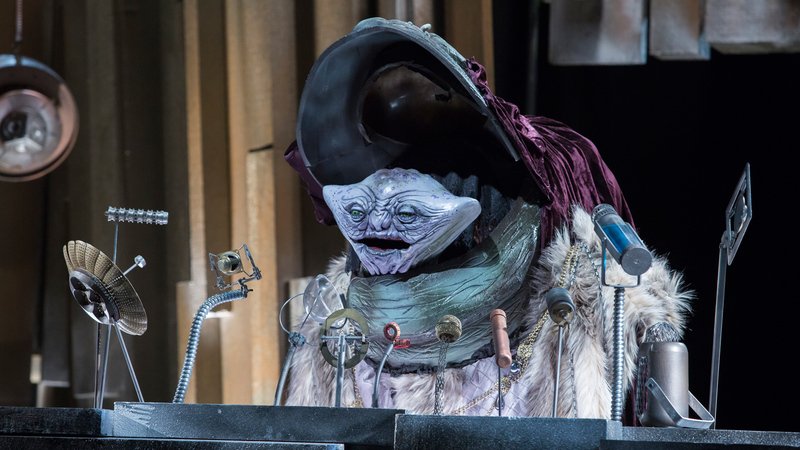 RYAN: Let’s jump right into it: what was the audition process like for Jim Henson’s Creature Shop Challenge? MELISSA: Oh my goodness, it was actually pretty challenging. They basically wanted to see what we’d done, what we were capable of doing, and also if our hands would cramp up filling out dozens of forms! Ha! There were also lots of interviews both via Skype and in person being filmed. RYAN: Describe the first time you set foot in the Creature Shop. What was it like to be there in person? 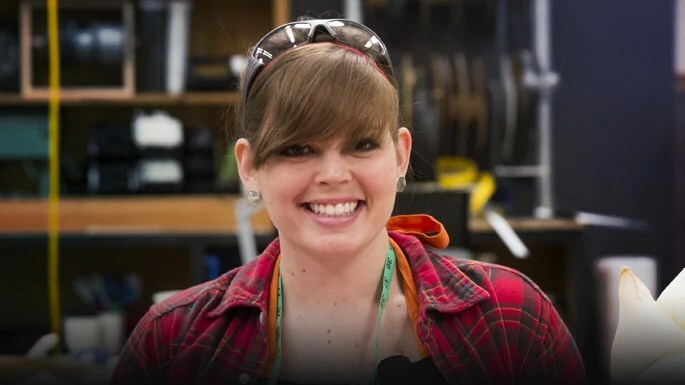 MELISSA: Walking into the Creature Shop for the first time was like walking into Willy Wonka’s Chocolate Factory. Not to be cheesy, but honestly everything seemed magical. I mean I was surrounded by everything I grew up with from the family from Dinosaurs to drawings of Rygel from Farscape, not to mention there was every single material and piece of equipment I have ever wanted to use sitting right in front of me. RYAN: Talk to us a little bit about meeting Brian Henson. He is a true legend so I can imagine it was nerve wracking as both a fan and a contestant on the show. MELISSA: Meeting Brian was amazing; he is a true super star in this industry. Brian does it all, he directs, voices, and performs. To meet him was a dream come true. He and his family have done so much to advance puppeteering and creature building. It was just crazy to realize that he was going to be critiquing all of our work. RYAN: For the first challenge (Undersea Creatures), you designed the Scuttleslurp with your partner Ben. What was the most challenging aspect of this build? What about the most rewarding aspect? MELISSA: The most challenging part of this first challenge was the fact that it was the first challenge! We had no idea what the judges were going to be looking for, or if we’d be able to put out a creature in such a short amount of time that would actually hold up to being performed. 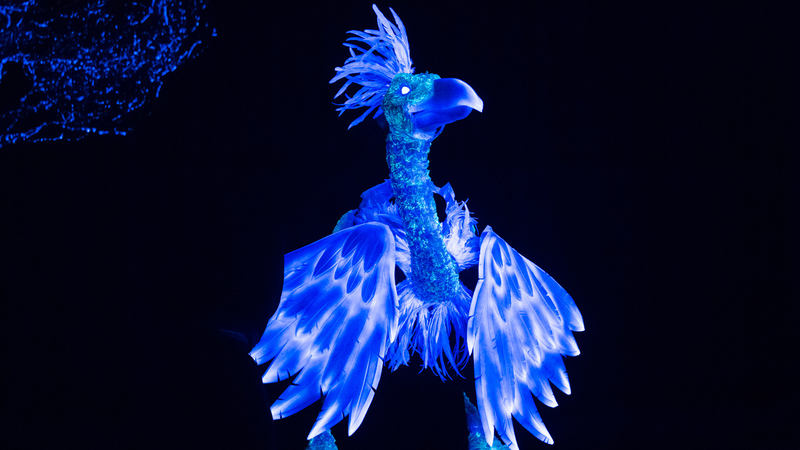 So in turn, the most rewarding part was seeing our creature perform and then being safe and moving on to the next week. 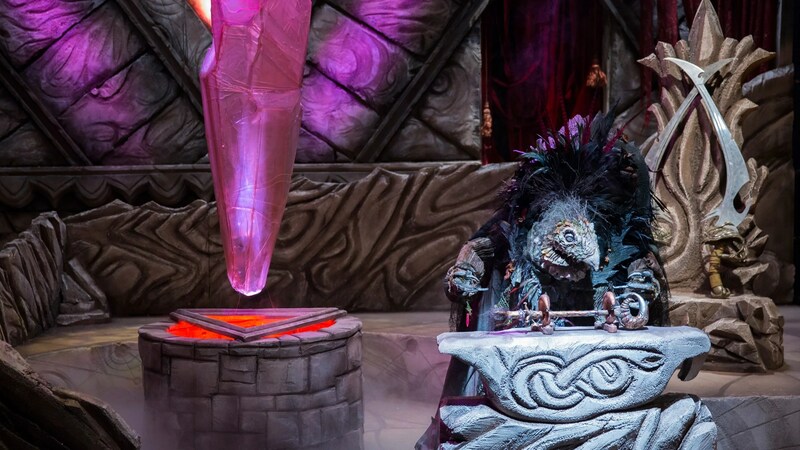 RYAN: The second challenge was my favorite so far, as each team got to design and build their own Skeksis. The results were incredible, especially your decaying frost Skeksis, SkekSith. What was your favorite part about this challenge? 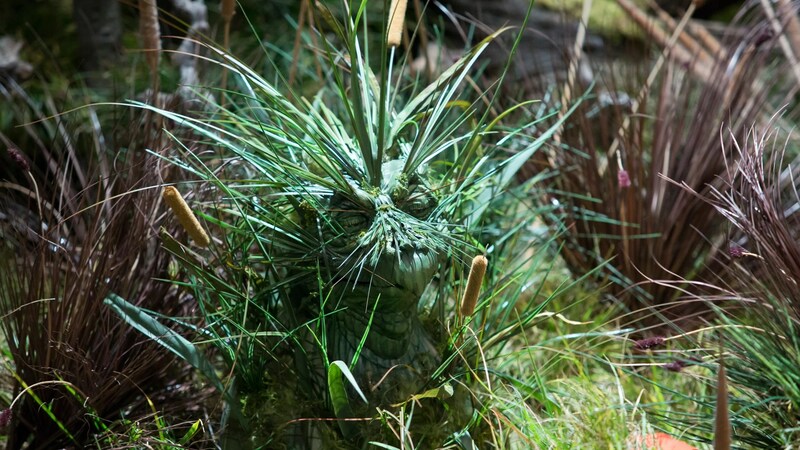 How did it feel to be working so closely with elements from The Dark Crystal? MELISSA: Oh man! The second challenge was just nerd paradise for me, and many of my fellow contestants. I just couldn’t believe that I got to be in the same room as some of the original Dark Crystal creatures and props, just sooooo cool. I had two favorite parts of this challenge, first was working with fellow contestant Robert Bennett (we became the best of friends), and second was hearing Brian Henson call me an unsung hero for my body construction and fabrication. Such a cool moment to see on TV. Oh yeah, did I mention that after we filmed I licked the Dark Crystal… Yeah that happened. 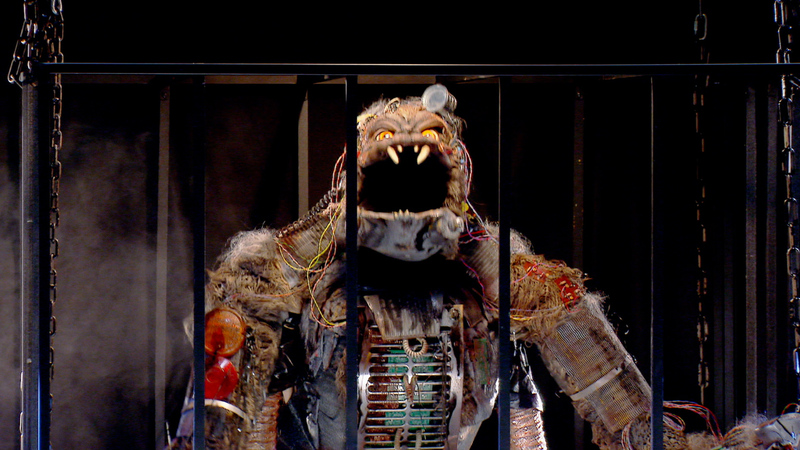 RYAN: For week three you had to work with material from a scrapyard to design your creature, Pickles. What new challenges did this Creature Brief present? MELISSA: Well the first challenge was to not get tetanus in the scrapyard! If I’m being honest though, it was about par for the course, working in small shops you are usually repurposing things you find in thrift shops and junkyards. What was difficult though, was finding enough lightweight material to use, most of the things there were very heavy or hard to alter which did prove to be difficult considering the quick turnaround. All in all, our 60’s science fiction inspired ape, from outer space (Pickles) turned out all right. 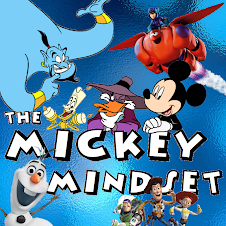 RYAN: In week four, you had to design just the head of a creature to interact with Donald Faison. What was it like having your creature interact with a celebrity? MELISSA: Gosh lets not talk about week four! I almost got kicked off because of my time management with those stinking eye mechanics! 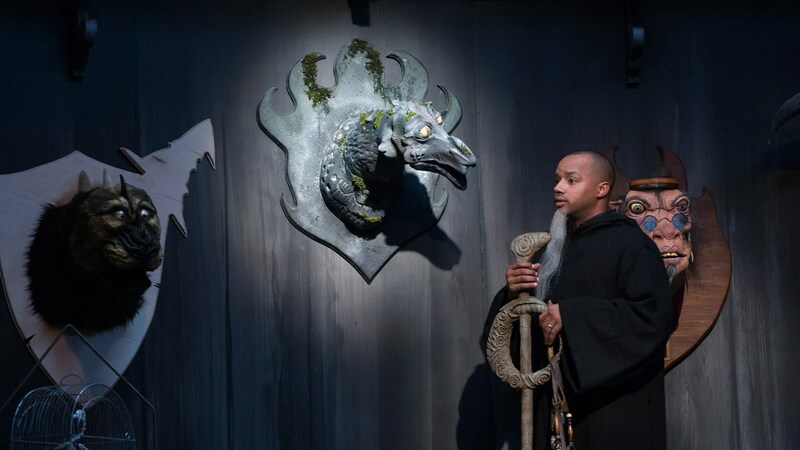 It was AAAAwesome having Oweson (my sea serpent) interact with Donald Faison. He is so hilarious with his improve and my puppeteer Victor Yerrid did such an amazing job taking my story and making it work to interact with Donald. If only everyone could have seen all of the dialogue that Donald exchanged with or creatures/ puppeteers, we were in stitches. RYAN: The next episode saw you teamed up with Ben again to design an incredible Longneck Loon bird creature. Your work on the wings was inspired and brought you to the top for the first time. How did it feel to finally win one of the challenges? MELISSA: Well, I wont sugarcoat it, week five was tough. We were over half way through all of the filming for the show and it felt like we’d been working for six months. So we were worn out, and being so close to the end means you need to show off what you can do and fight for yourself a little harder… that’s rough on a partner challenge. In the end though, I got the win! That was such an incredible feeling, especially after landing in the bottom in the previous challenge and having so many creative differences during this challenge, I honestly couldn’t believe it, and I was beside myself. RYAN: In week six you won for a second time in a row. I adored your Long-Bladed Swamp Foul creature. I’m sure it felt like a validation of your talent to win yet again. What was your favorite part of that creature’s design? MELISSA: This was my favorite win! This week it was alllllll me, and that’s what made it so amazing. I had a lot to prove going into another individual challenge (considering I almost got booted the last one) not to mention the phenomenal Neville Page was our guest judge! I almost fell over when I received all the feedback from him. He seriously knows what he’s talking about, I mean he is truly on a different level of creature creation. My favorite part of my creatures design was the way I laid in the grass and seriously the fact that I had time to do finishing work for once. RYAN: In the season’s penultimate episode, your super cool alien creature received raves from the judges, placing you in the final three competitors. How did it feel to be so close to total victory? MELISSA: It feels amazing! We had Barry Sonnenfeld as a guest judge and he critiqued and loved my work (his movies got me into this business) and I made it to the finale! I honestly didn’t think I was going to make it past the first episode, and I’m the last girl standing. I can’t describe how I feel being so close to my dream job… it makes me hopeful, nervous, and honestly a little nauseous. RYAN: Of the creatures we’ve seen from you so far, which are you most proud of? Which do you wish you could’ve spent more time on? MELISSA: I am most proud of Fill (the Long Blade Swamp Fowl) he had almost everything I wanted him to have and definitely the overall look I had intended. I think we all know which guy I wish I had spent more time on… Oweson, my sea serpent. He was supposed to have soooo much more detail, but since I’d never even touched servos before he suffered. Poor guy. RYAN: Who has been your favorite teammate to work with on the show? Who has been the hardest to say goodbye to after they’ve been eliminated? MELISSA: Well Robert was my favorite to work with of course! We became best buds. #TeamMelBert for the win! Now, I’d have to say it was a toss up between Jake and Ivonne for hardest to see go, I love them both and learned so much from each of them. To be honest though it was sad to see anyone leave, most of us had a pretty strong connection and it was like watching our little family being torn apart. RYAN: Who has been your favorite puppeteer to work with on the show? MELISSA: Oh don’t you dare ask me that! I’ll have wild puppeteers hunting me down! Ha! Honestly though, I loved them all. I have such a huge respect for them and everything they endure when performing these creatures. 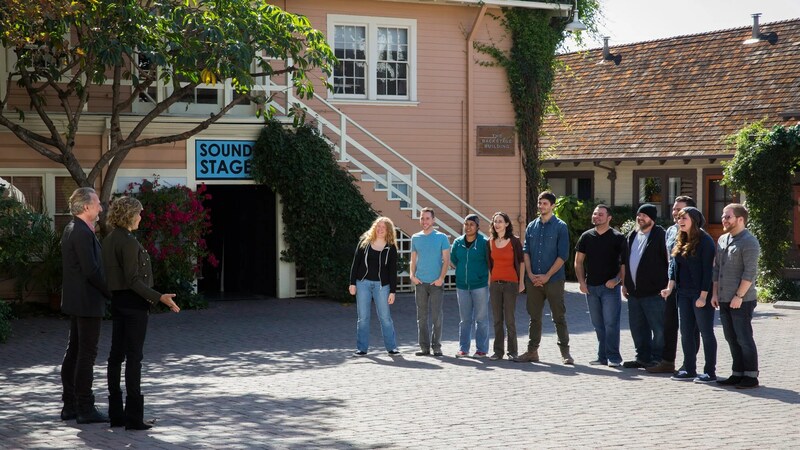 Seriously every time we went for a screen test working with the puppeteers was my absolute hands down favorite part. You always know your creature is going to be cool, but man, when the puppeteers get a hold of them they actually seem to have a life of their own. RYAN: What is your favorite Kirk Thatcher outfit from the show? MELISSA: Hahahaha, geez… all of them? Wardrobe had a lot of fun with him especially in hats. He’s the greatest. RYAN: Lastly, without giving away any spoilers (since I’m sure you’re legally bound not to), what can fans expect to see from the final episode? MELISSA: CRAZY CREATURE CREATION VOODOO! Also a cadge match fight to the death. (wink) Seriously, though we all put blood sweat and tears into this last one because there is no safe or eliminated it’s now down to a winner and two losers. RYAN: Thanks so much for chatting with me, Melissa! Congratulations on the show and your success and good luck in the big finale! My huge, huge thanks to Melissa for being so wonderful and willing to do the interview! So proud of this girl! She is amazing! I only wish I had such talents being a Jim Henson fan! I wish i could create creatures that are as amazing as Melissa's, unfortunately, I am artistically challenged in the hands on department! haha I'm an aspiring writer however! So proud to be part of the BBHS family with Melissa, she was an awesome and kind hearted person. When I found out she was one of the contestants, I almost fell over! Sooo proud of her and can't wait for the finale! Even if Melissa doesn't win, she's a winner in my eyes! Your amazing girl!